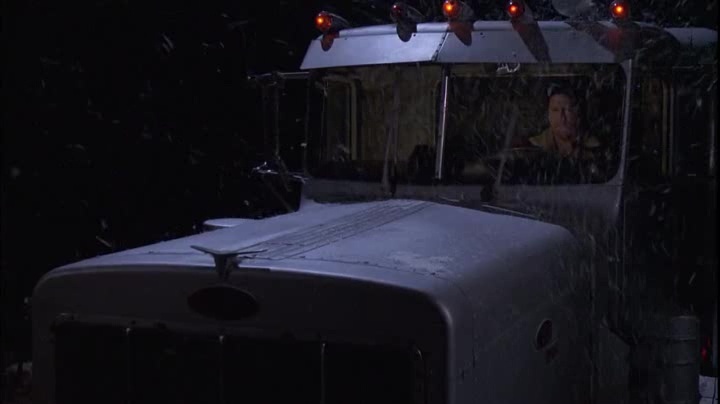 IMCDb.org: Peterbilt 359 in "That '70s Show, 1998-2006"
It's a Peterbilt. What model it is, I haven't got a clue. That hood, radiator shroud and ornament are used on about 6 different models......I, like Ddey, am clueless. Probably should be deleted, unless theres a better, more informative pic available. As it has 2 stars, we should keep it I think. If not identifiable, we can just keep model name empty. Neither am I. For all I know, it might be a more contemporary model, and the producers and/or prop department thought we the audience wouldn't know the difference. I dont think thats a back window, looks more like the walk-thru access to the sleeper bunk. I vote for 358. BUT the angle of the photo gives the impression that it might be a 358 OR a wide nose 359. Both 358 and 359 had the fluted ribs on the top of the hood. The more I look at it, the more I think it is a 358. 359 everyone who says 359 is right. I must have been half asleep when I posted 358. The wide-crown is obviously a 359.